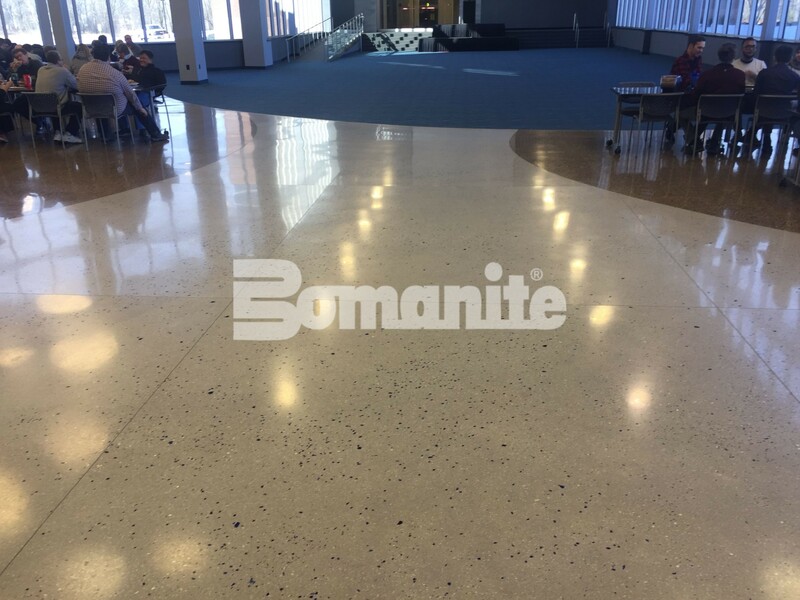 MMGY, the largest integrated travel marketing organization in the world, and Lisa Jensen Design contacted Bomanite Licensee, Musselman & Hall Contractors, for a decorative concrete flooring solution for the outdated, 800 square foot lobby of their office. 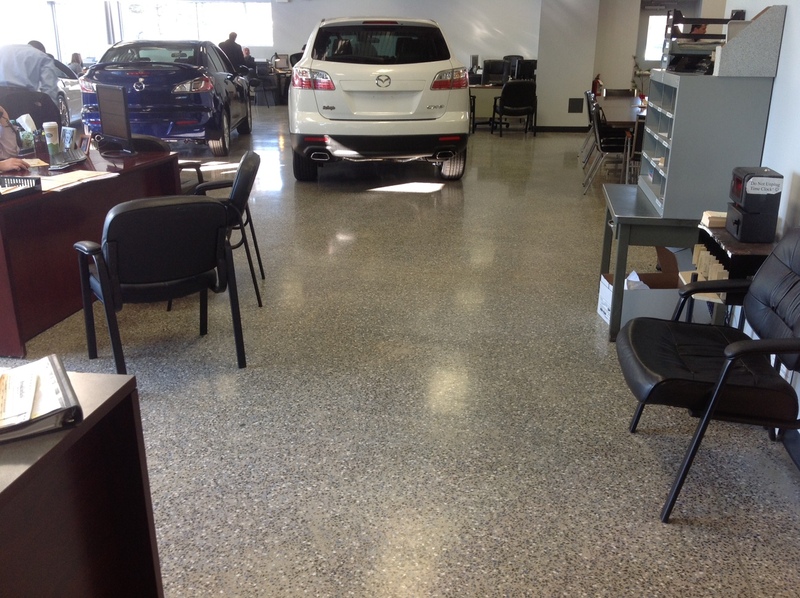 The existing flooring was a worn cork flooring that showed wear and damaged from years of use. 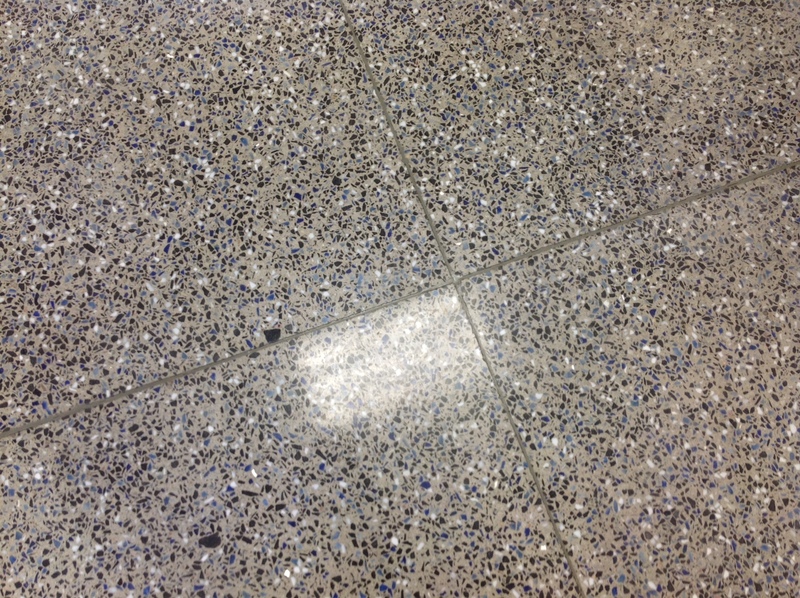 The client wanted a “white polished concrete floor” and was looking for a thin overlay application to achieve the desired finish. The Bomanite Modena SL system was proposed with the production of finished samples for client review of the final color and finish. 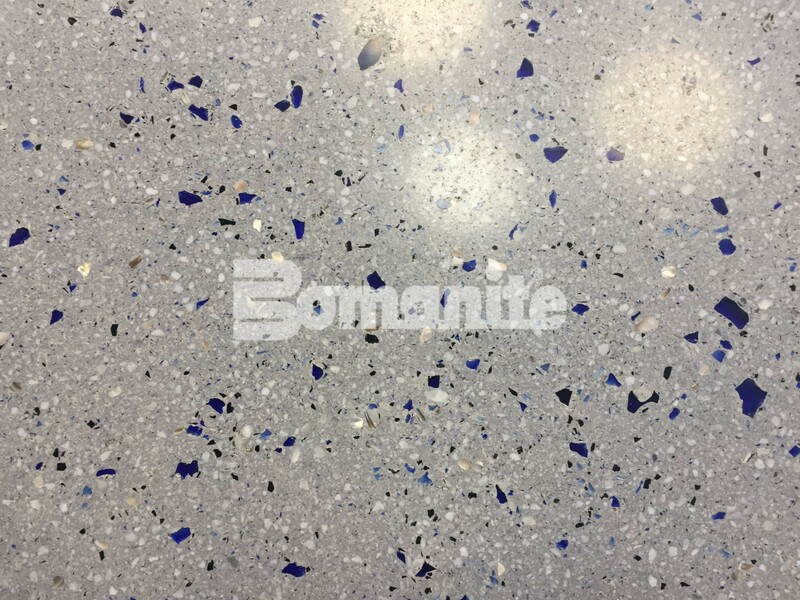 Bomanite Modena SL is a polymer-modified, cementitious interior bonded floor topping that is blended with selected decorative aggregates then placed with no finishing. 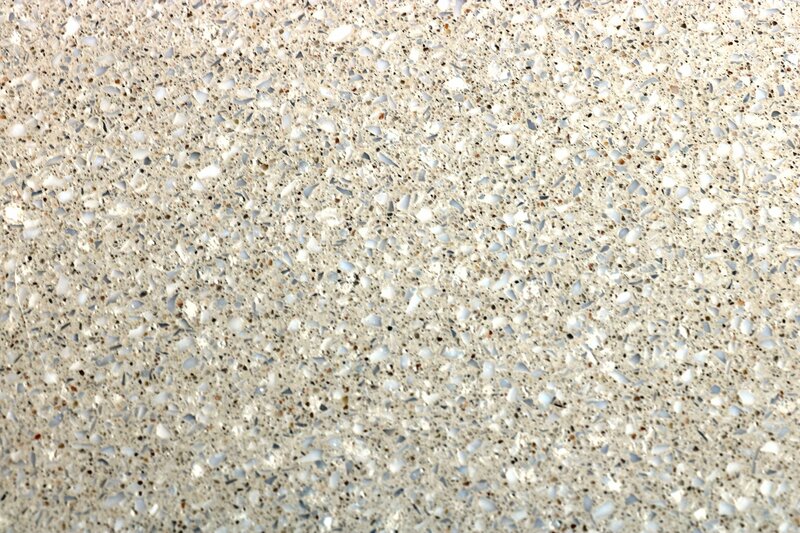 Once fully cured Bomanite Modena SL is ground to expose the aggregates and polished to the desired gloss level. 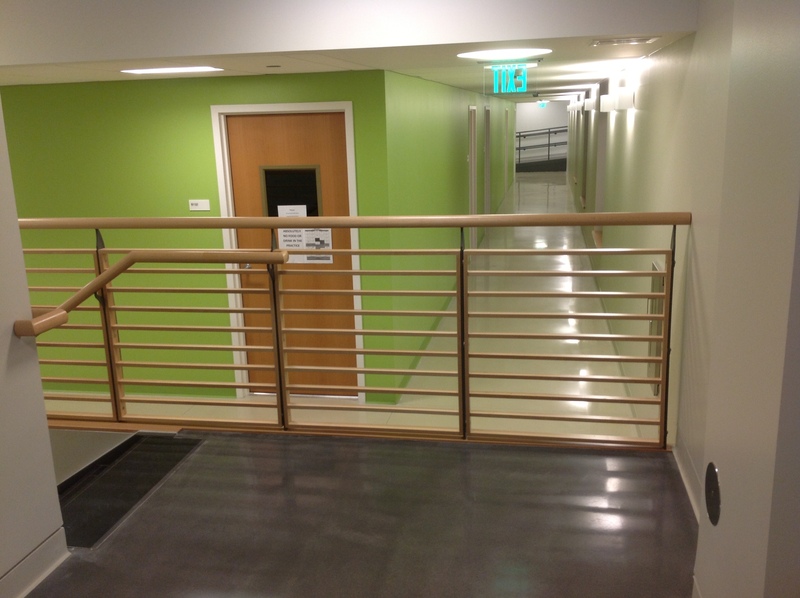 The project was a fast-track installation in order to keep a minimum disruption to their operation. Bomanite Modena SL may be lightly walked on 12 hours after placement providing a benefit for needed accelerated renovations. On a Thursday evening, prep began with removing the existing cork flooring, grinding the exposed concrete sub base, and applying Bomanite XP Primer with a sand broadcast. 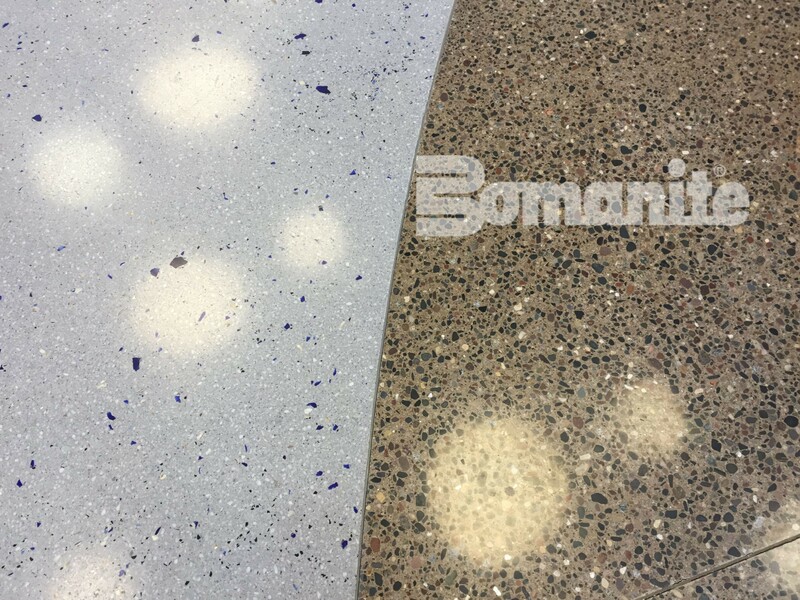 The next morning the Bomanite Modena SL integrally colored product was poured and size 0 and size 1 white terrazzo glass was blended into the overlay. 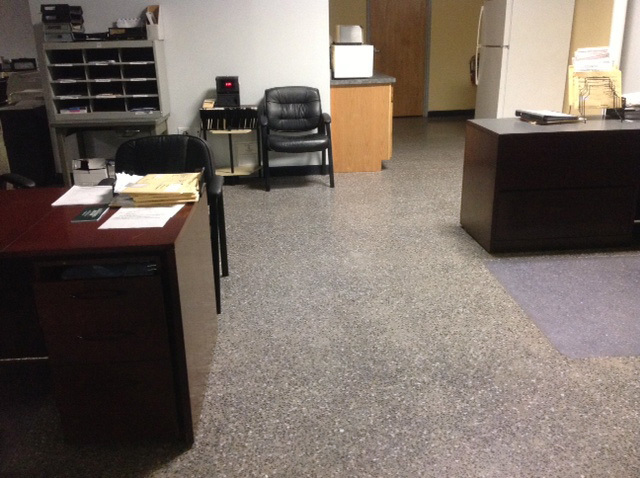 On Saturday, the floor was polished and completed. 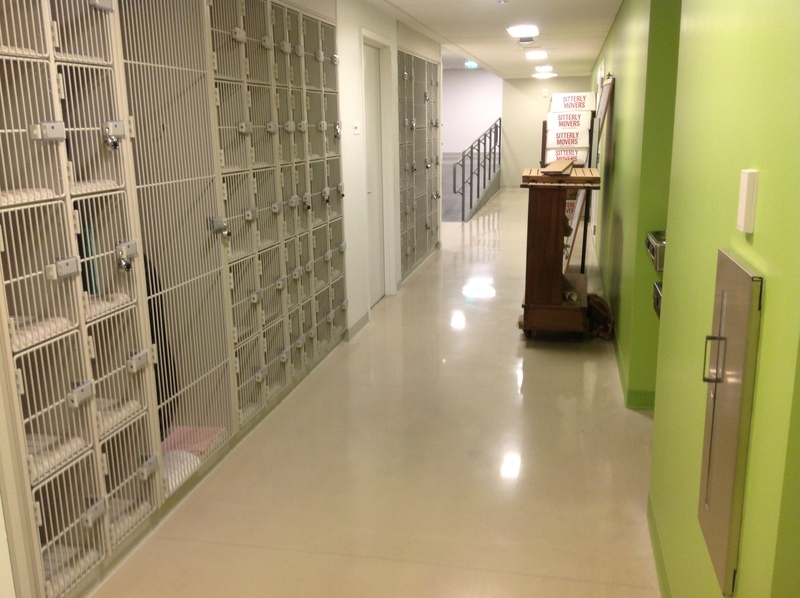 The client was able to be back at work within 48 hours. 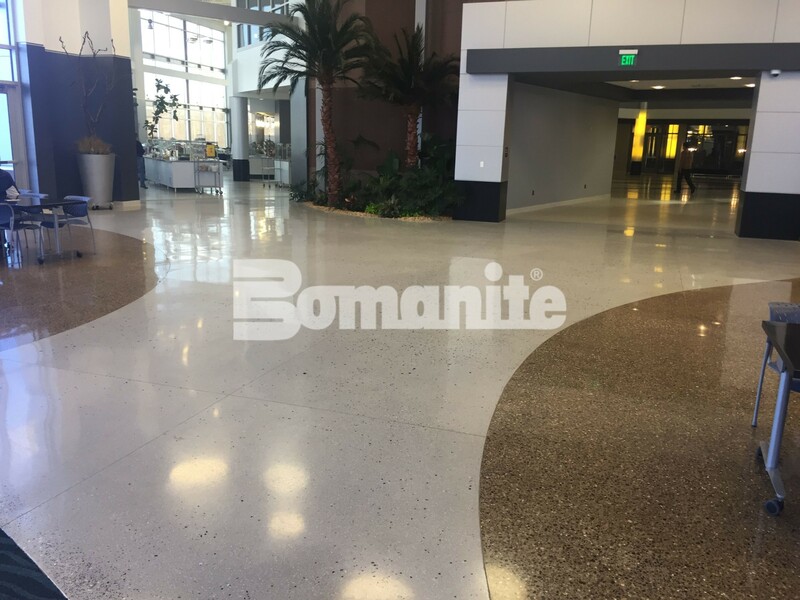 The finished floor is a gorgeous representative of Bomanite’s Modena SL system and the design flexibility of decorative architectural concrete. The Modena system transforms existing or worn surfaces into beautiful walkways, showrooms and lobbies and is available in a range of colors and patterns using decorative sawcuts. 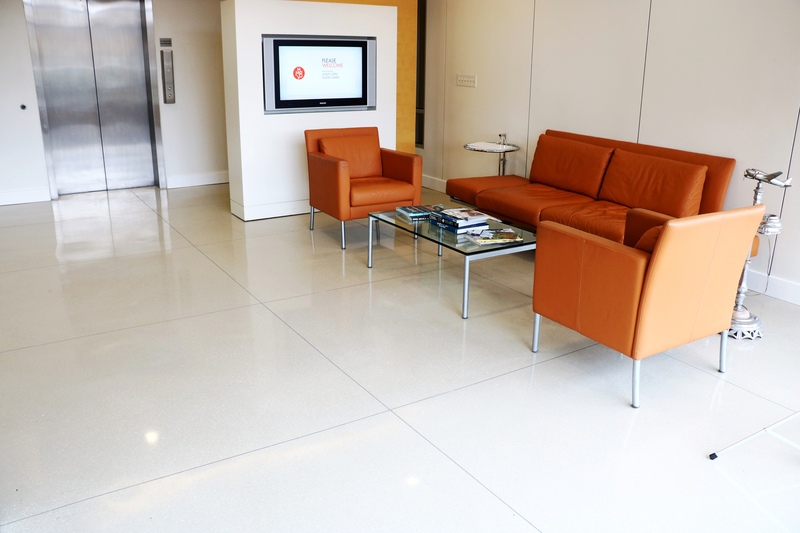 Additional topically applied stains and a variety of aggregates, such as recycled glass or porcelain along with regionally sourced materials, are all options in creating a beautifully designed, environmentally friendly and functional floor. 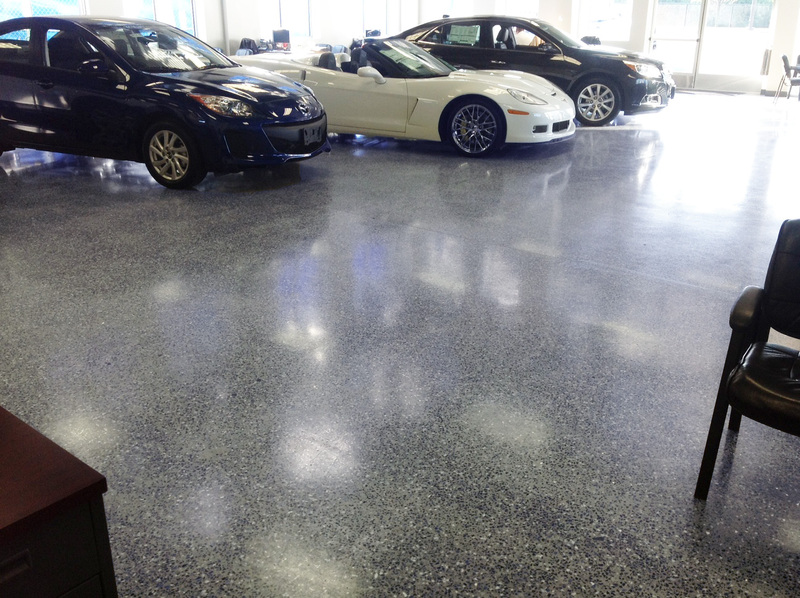 Did you know that Bomanite Custom Polished Concrete floors have excellent abrasion resistance? 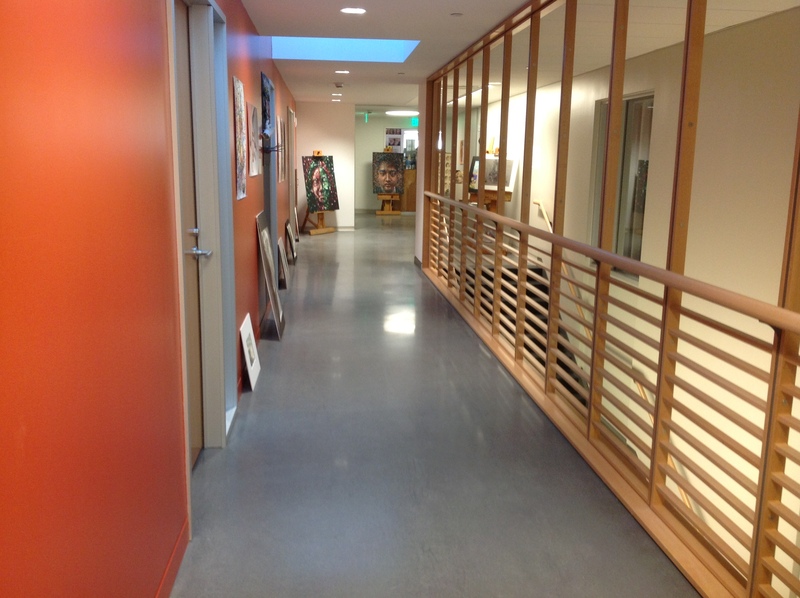 Deerfield Academy Hess Center for the Arts worked with Bomanite Licensee, Premier Concrete Construction to choose Bomanite Modena for their renovated space. 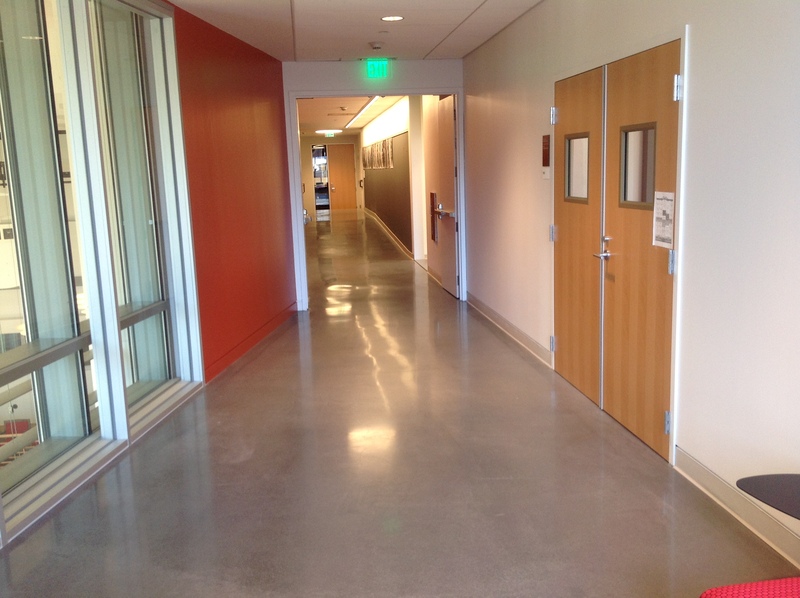 Installed for high durability, for everyday foot traffic, musical equipment and powerful art exhibits, this engineered interior cementitious topping is blended with selected aggregates, ground and polished to the desired gloss level. Available in a range of colors and patterns using decorative sawcuts, topically applied stains, variety of aggregates are all options in creating a beautifully designed and functional floor. The Modena system is a low-cost alternative for renovation projects and provides the durability and strength for this exceptionally long lifespan system. With the industry’s lowest lifecycle costs, low to zero VOC and minimal maintenance requirements, Modena by Bomanite is the optimal choice for renewed surfaces.